We often speak to the value of incorporating 3D resources and tools into education. 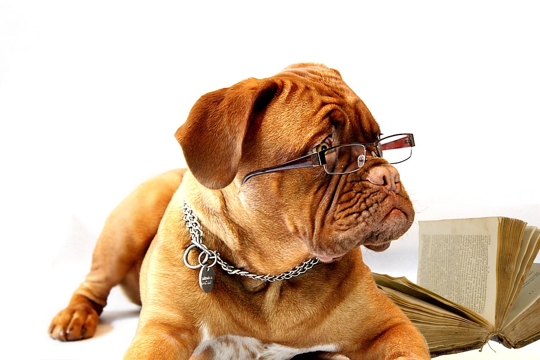 Intuitively it makes sense to learn 3D subject matter by studying 3D sources, but for a variety of reasons the tools necessary to enable this type of learning have been slow to grab a foothold in education, and ever slower to enter veterinary medicine. Studies indicate that learning anatomy in 3D makes it easier to grasp complex concepts, increases student engagement and knowledge retention, and improves assessment. While it sounds great to objectively recite the potential benefits of 3D, it’s far less common (yet potentially more impressive and convincing) to take a moment to contemplate and appreciate the new experiences an extra dimension has the potential to unlock. This post is the second in our “Professor Insights” series, and focuses on how 3D educational resources offer exciting and eye-opening Fresh Perspectives. LlamaZOO’s three professors: Dr. Terri Clark, Dr. Susan Dawson and Dr. Corinna Klupiec, share their thoughts on how an interactive 3D educational tool such as EasyAnatomy can unlock learning possibilities even they didn’t anticipate. Q: Are there any new perspectives you’ve been excited to discover EasyAnatomy provides, that textbooks and cadavers do not? Dr. Klupiec: There have been a couple of times when I’ve been really excited to see the new perspectives the model offers, such as when I first realized I could swing the camera around to see muscle attachments of the thoracic limb from the medial side in the “intact” animal. This is very hard to appreciate in preserved cadavers. Dr. Dawson: Yes! From the very beginning, I was excited by the interactive nature of the app. The student is in the “driver’s seat”, and controls the models in a way that is not possible with a static image in a textbook. I see the app not as a replacement for a cadaver, but as a supplement: the student is in control of the image, to adjust the angle of view, the magnification/zoom, the layers which are visible (or not visible). The camera provides views that we just can’t get with dissection, such as going inside the body cavity while leaving the body wall intact. Dr. Clark: A great example for me is studying the muscles of the pelvic limb. In lab students have to cut and reflect superficial muscles to see deeper muscles, but in the app you can hide muscles and other features at will, giving students a more complete view, including muscle origins and insertions. Dr. Klupiec: I had somewhat of a “lightbulb moment”, not so much in understanding something that wasn’t understood before, but due to the power of the visual experience – being able to move the camera in any way you desire enables you to see things that are traditionally relatively poorly demonstrable in a 2D environment. Dr. Clark: Having the dog in a standing position in the application is very helpful too. Most dissection is done with dogs lying on their backs, meaning students are learning some structures in a non-normal position. The standing model will be especially advantageous for the thoracic, abdominal and pelvic regions, and of course you can still move the camera any way you desire. Dr. Klupiec: I am particularly impressed by 3D visualization of the vertebrae: In a living animal vertebrae are separated by discs, but in reconstructed skeletons they are often glued together, and the relationship between the vertebrae and discs can be very difficult to appreciate in a dissection. What struck me when using the model is that I could see the relationship without any visual impediment. This is incredibly powerful educationally. Q: What impact do you think these “Fresh Perspectives” will have on education? Dr. Klupiec: I remember reading a journal article* that focused on the different ways people tackle the task of learning anatomy. They broke it down into five categories, with one of those being “avoiding the task completely”. I remember that feeling from when I was a student – being in labs and thinking “I can’t do it, I can’t find this structure, I will never understand this”. The experiences 3D visualization allows for change this, because you can actually see the structures and their relationships. Dr. Clark: 3D provides another way for students to look at what they’re learning. If students can learn something from multiple viewpoints, then they’re more likely to grasp what they’re trying to learn. This is one more way of reinforcing these structures. Dr. Dawson: This application makes anatomy more accessible to students. Compared to even a well-illustrated textbook, students get to choose the image they want and then customize it (angle of view, zoom, highlighting or fading structures) to build their understanding and answer their own questions. It lets them be actively engaged with the material — they own it. Dr. Klupiec: I imagine an application like this would have really changed my personal experience of learning anatomy, and that I would have developed an appreciation for the subject much earlier. People are inherently curious. If you can take away roadblocks from them satisfying that curiosity – that is what education is all about. 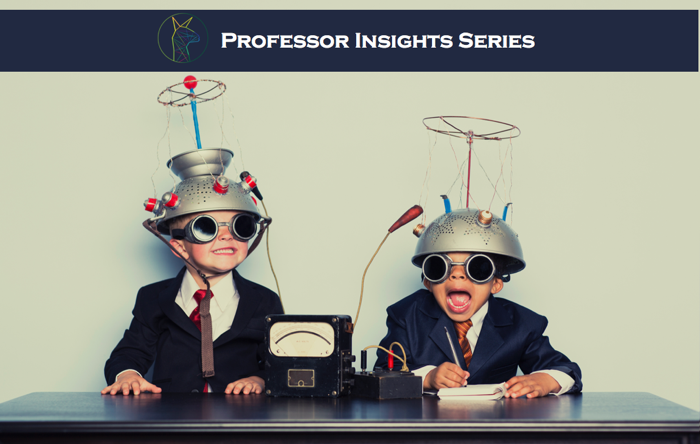 Please stay tuned over the coming weeks for more in the Professor Insights series, along with plenty of other content, and be sure to check out the previous post in the series on Nomenclature. EasyAnatomy is an interactive 3D canine anatomy study guide that combines the best of textbooks, flashcards and dissection. Using EasyAnatomy helps you spend less time studying anatomy, and ace your exams. Trusted by veterinary students from over 30 countries worldwide, and built in partnership with internationally respected universities and professors, it includes: Complete 3D canine anatomy; Unmatched medical accuracy; Fully interactive navigation; 500+ quiz questions & more.